Wow, I have had the most exhausting weekend! I'm absolutely shattered and my legs ache so much I feel like I've ran a marathon. You'll find no whinging from me though as it's been one of the most exciting couple of days of my life so far. This weekend saw the arrival of a day we have been looking forward to for years - we completed and finally got given the keys to our brand new shiny home. After two years of working hard and saving we finally have a place to call our own, which is very exciting and also slightly terrifying. I'm not entirely sure we're grown up enough to handle such a ridiculous amount of responsibility. To celebrate, this week New Girl in Toon is talking all things house! Tomorrow you can get a sneaky peak at our ideas for furnishing our new living room and then at the end of the week I've teamed up with Newcastle Building Society to share some of our experiences of buying a house. I'll be giving you some tips on saving and budgeting and about applying for your first mortgage and then on Friday there'll be a fantastic competition where you can win yourself a £50 voucher to spend on your home. Of course, I'll be sharing some posts all about our new abode when it starts to come together and we have managed to unbury ourselves from the pile of cardboard boxes and flat pack furniture. I'm so excited to show you our new pad! But in the meantime things may be a little slow around here. Although we have been promised that we will only be without the internet for a few days, I've heard enough stories to know that that may be a little optimistic! I have a few posts scheduled whilst we get ourselves sorted including some more North East Stories, plenty of food and the official arrival of Wedding season! 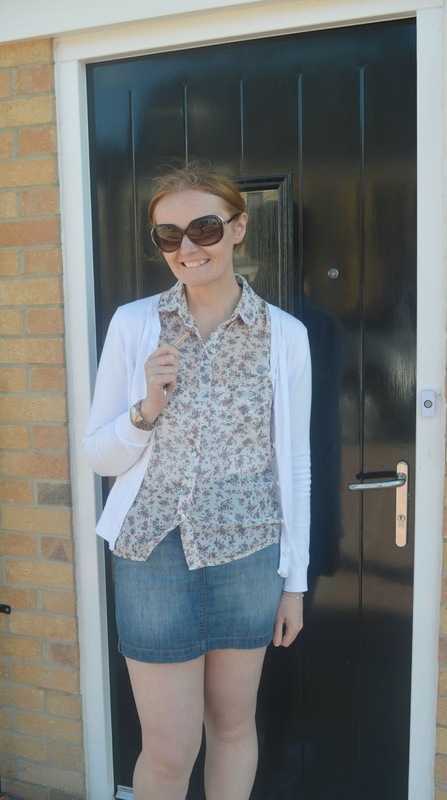 Please do let me know if you have hints and tips on surviving the moving madness, and hopefully I'll be back here soon at full blogging capacity to share how our move went! I started off pretty organised but then it became a bit of a free for all! I had cups and plates in the same box as my jumpers! LOL! At least jumpers provided padding! Yay! Congratulations! I look forward to seeing more soon. I'm just at the stage where I've had an offer accepted so now onto the mortgage application stuff. If it all goes well then I might be in the same position in a few months! Thanks Lisa :) I'm a bit rubbish at interior design but hopefully our ideas will work and Im so excited about doing a house tour for the blog when we're finished! I've just bought my first rental property so I'm a little crestfallen that I've been through all these house buying hoops then someone else will be living in it! I shall live vicariously through your posts! I love moving house, it's so insanely exciting! My biggest tip: don't hink that you'll get round to unpacking that box later.....you never do!